A 2006 Mercedes Benz C230, top, is one of 19 vehicles seized and up for auction by the U.S. Marshals Service. Four Lamborghinis, two Ferraris and a 10-vehicle fleet of Mercedes Benzes are among 19 vehicles on a federal auction block that closes Wednesday. » To view and bid for the 19 vehicles, visit gsaauctions.gov. In the "Browse States" menu near the top of the page, choose Hawaii. The 19 vehicles, with current bids running from about $8,000 to more than $160,000, were seized as part of a federal investigation into a Honolulu man accused of wire fraud in 2005. Syed Qadri, who lived on Hawaii Loa Ridge, his wife Patricia Roszowski and two other men are accused of trying to get an investor to give them $100 million by claiming he would receive annual returns of at least 60 percent, and possibly 100 percent to 400 percent. To induce investments, the defendants allegedly told the investor that Qadri's company, Amasse Capital LLC, generally traded about $500 million in bonds in two days and could trade up to $10 billion a month. Prosecutors alleged that the money was instead used for personal benefit. A jury trial is scheduled for Dec. 2. The 19 vehicles -- declared forfeited in court -- are available for viewing online at www.gsaauctions.gov. They have been up for bid since last week, with bidding open through Aug. 6. "We manage all the seized assets," said Deputy U.S. Marshal Jay Bieber of the Honolulu office. "We use the General Services Administration to do the auction nationwide." Bieber said the U.S. Marshals Service auctions off seized vehicles at least twice a year. The Qadri case is among its biggest auctions. "So far, not a lot of bids," Bieber said yesterday. "This is just what I've heard, but the trend is to wait toward the end of the auction to get a good deal. Most of the cars are at their starting price." Interest is high locally and nationwide, with some dealerships eyeing the vehicles, Bieber said. 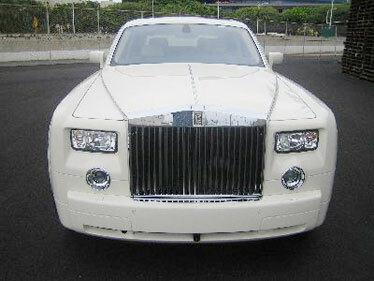 The most expensive item on the list currently is a white 2006 Rolls Royce Phantom, with a bid price of $164,375. The four-door luxury car requires a bid deposit of $32,875. A 1991 Ferrari Testarossa, bottom, are also on the sale block. 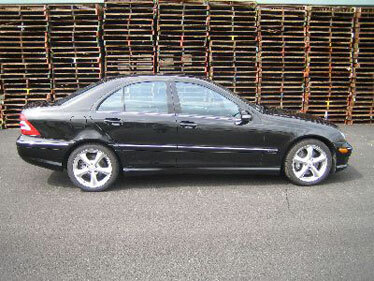 There are also seven black 2006 Mercedes Benz C230s with a starting bid of $12,163. The cheapest vehicle in the list is a 2006 Volkswagen Passat for $8,225. Many of the vehicles have low mileage. The Rolls Royce has 743 miles on it, while a 1991 Ferrari Testarossa has 5,152 miles on it.